Give the value of aesthetic art and artistic visual. Not only an empty form, but the story behind the deepest your thought process. 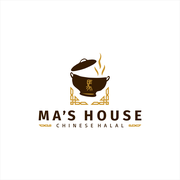 "I thank TACH very much for designing such a great logo for my restaurant. TACH is the best on everything from skills, attention to details, communication, responsiveness, and creativity. He has the ability and initiative to figure out what will be the b..."